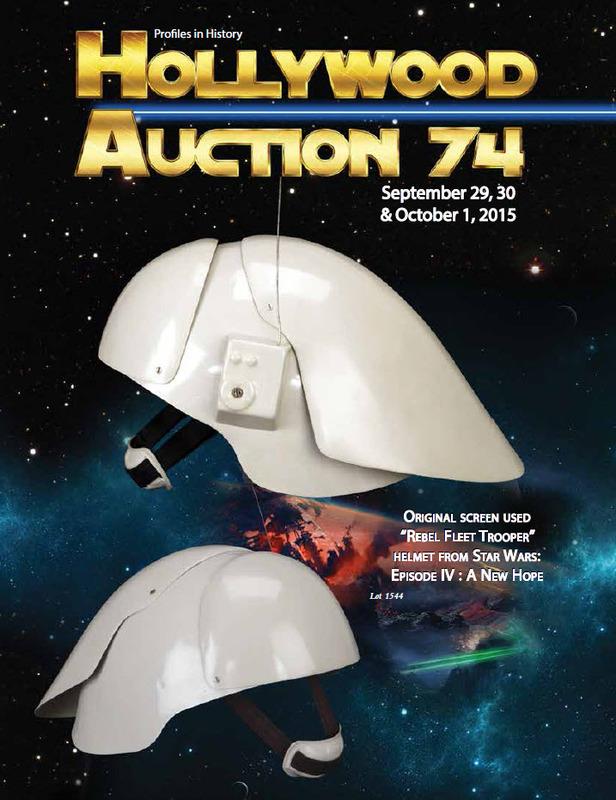 On Thursday, October 1st at 11:00 am PST, Day 3 of Profiles In History's "Hollywood Auction 74" will commence at Profiles headquarters in Calabasas, CA. 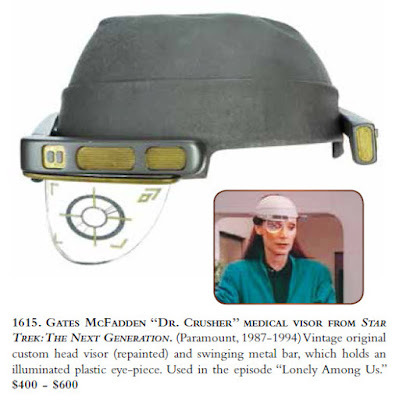 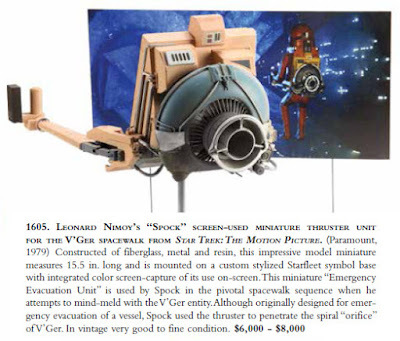 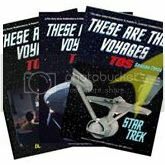 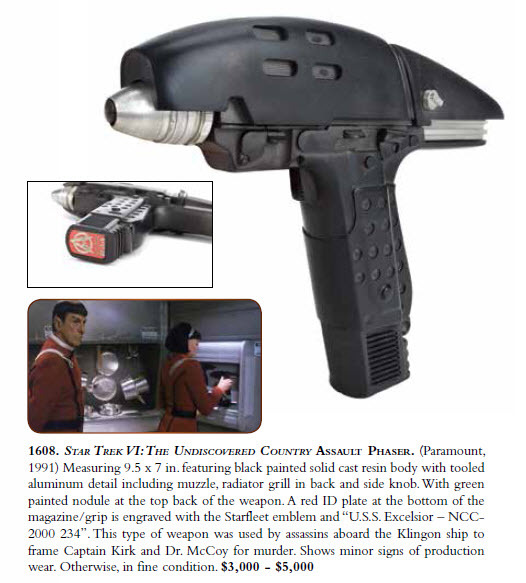 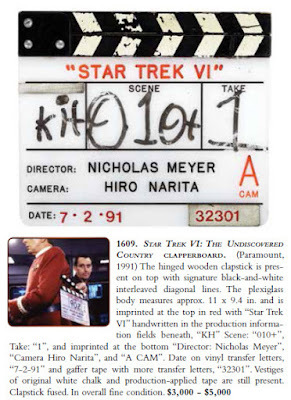 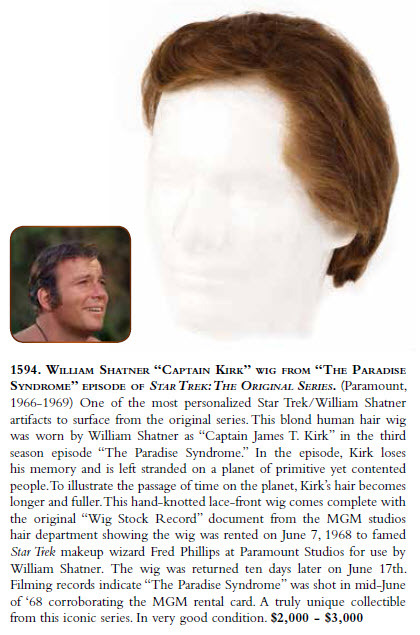 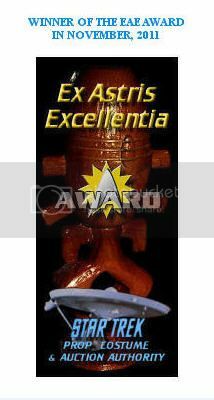 A total of 35 lots of Star Trek memorabilia will be featured in the sale; forming a very impressive offering of screen used and production related artifacts from across the franchise. 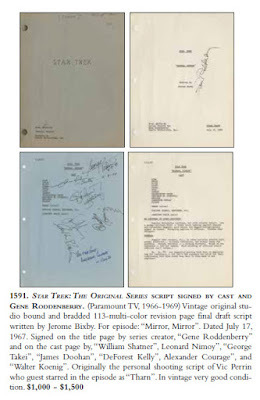 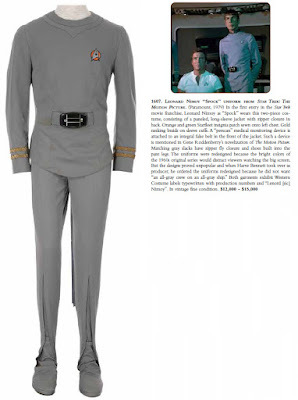 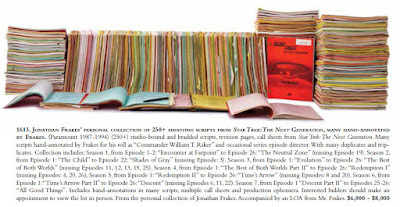 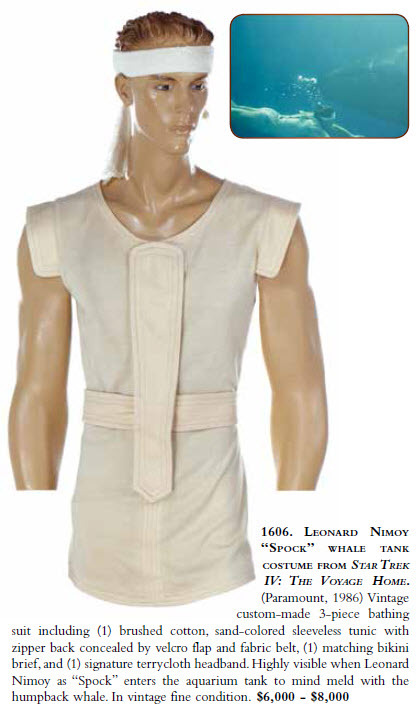 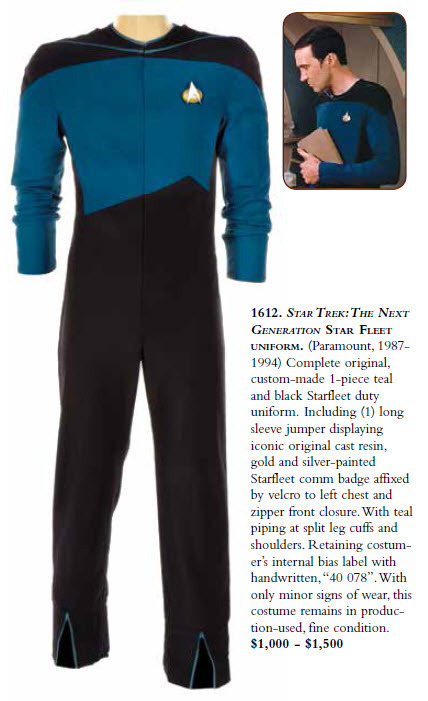 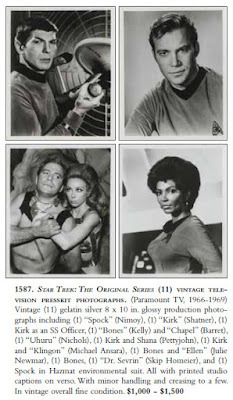 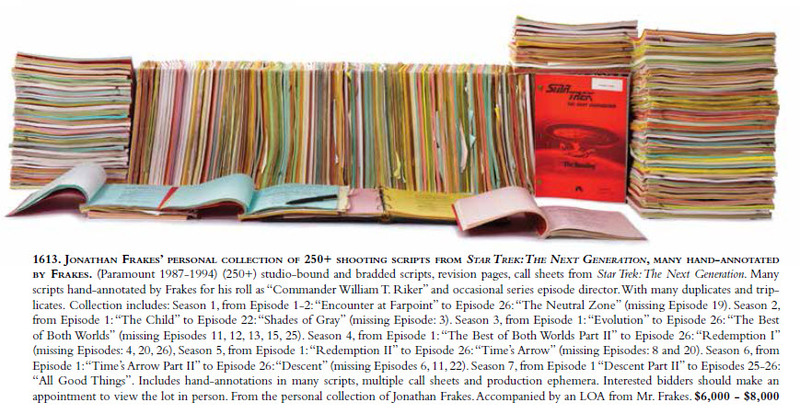 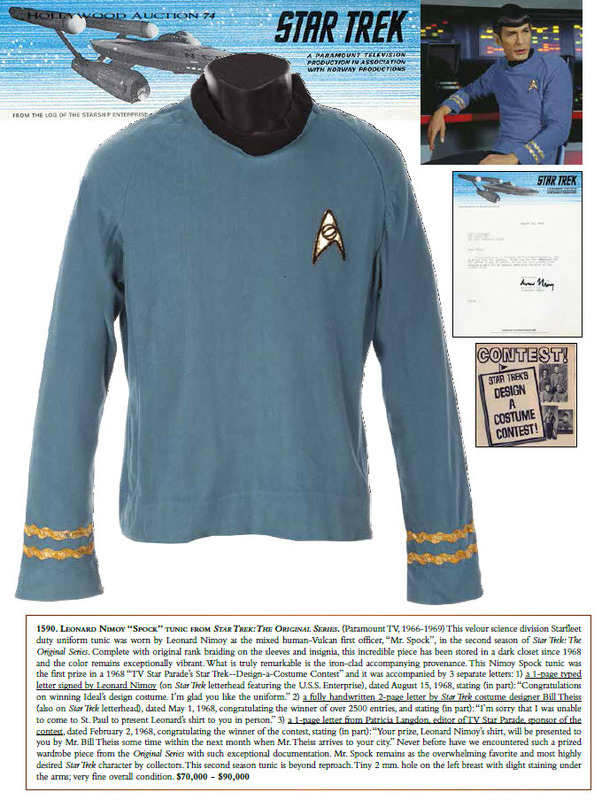 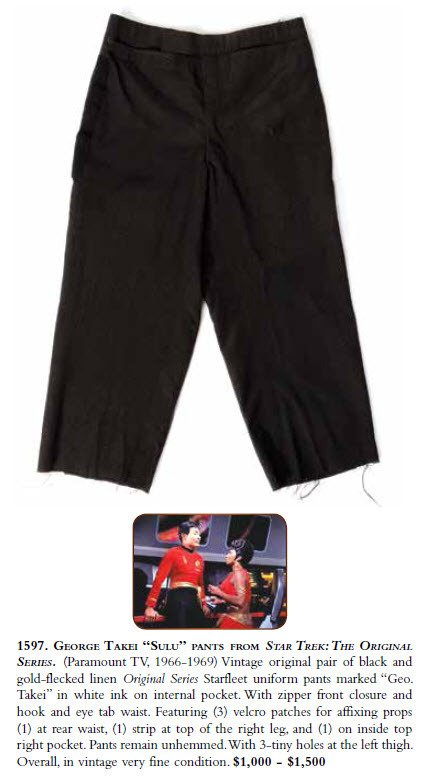 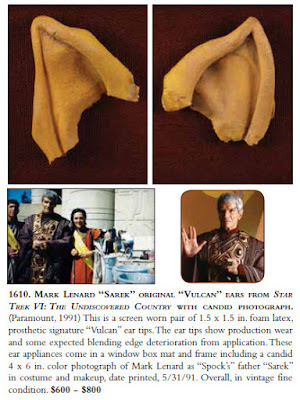 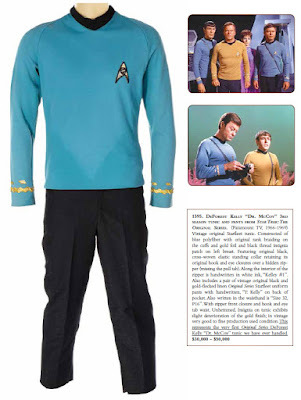 This auction is particularly strong in memorabilia from Star Trek: The Original Series, and some highlights of the material available from TOS include a Leonard Nimoy 2nd Season velour "Spock" tunic with impeccable provenance directly from the Star Trek Paramount offices in 1968; a DeForest Kelley 3rd Season "Dr. McCoy" complete Starfleet uniform consisting of a tunic with full braid and patch as well as a pair of vintage black and gold-specked duty trousers worn by Kelley; a William Shatner "Captain Kirk" wig worn in the 3rd season episode "The Paradise Syndrome"; a pair of George Takei Starfleet uniform pants worn as "Lt. Hikaru Sulu"; and a beautiful 1st Season Starfleet Silver tunic worn by Bruce Mars in his unforgettable role as "Finnegan" in the episode "Shore Leave", which is accompanied by a pair of "Bill Blackburn" worn uniform trousers. 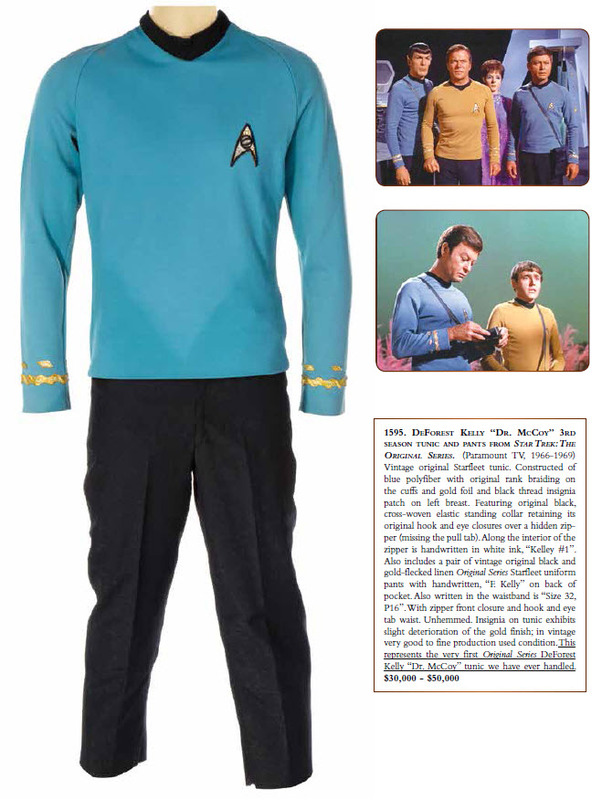 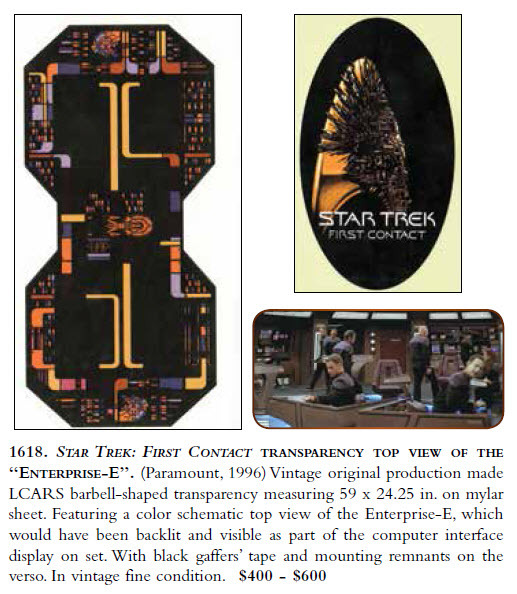 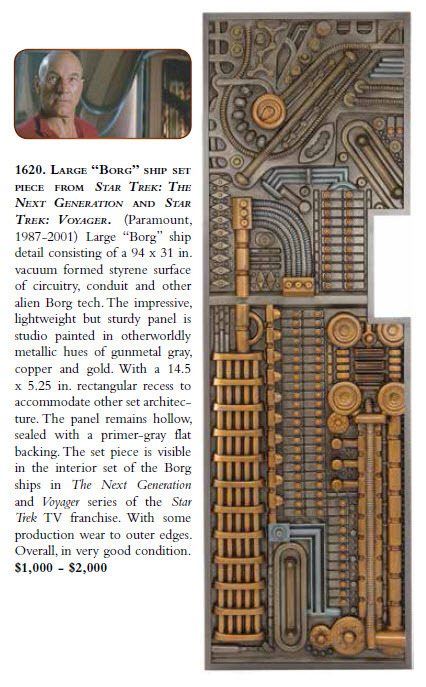 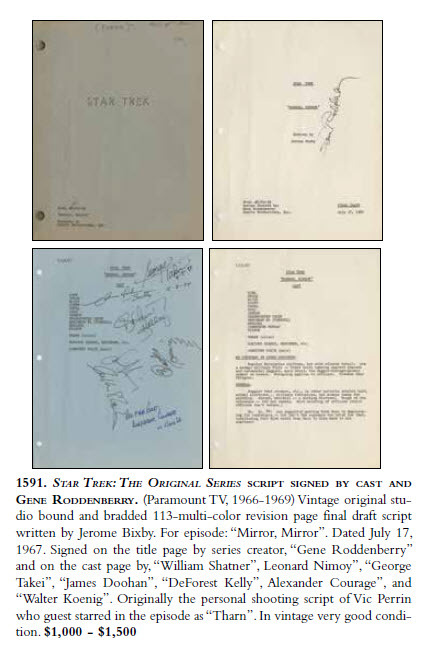 The DeForest Kelley offering is the very first McCoy tunic ever handled by Profiles. 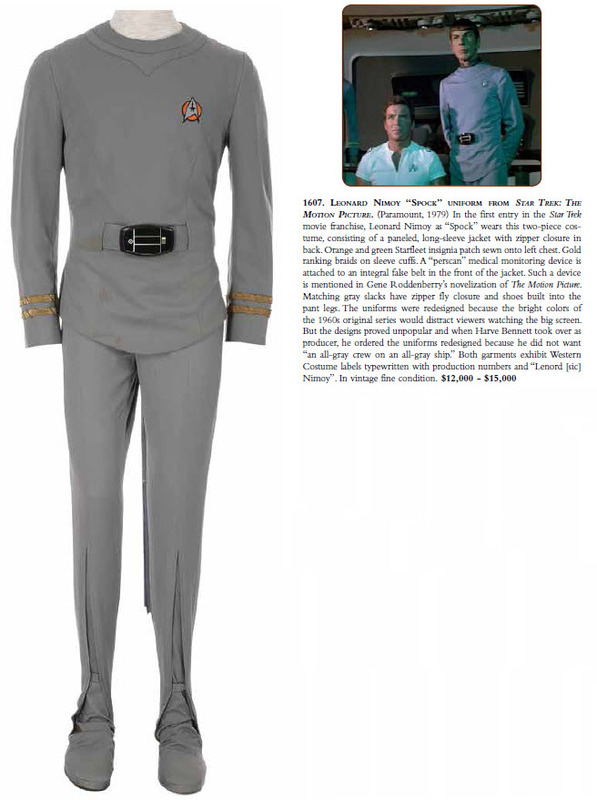 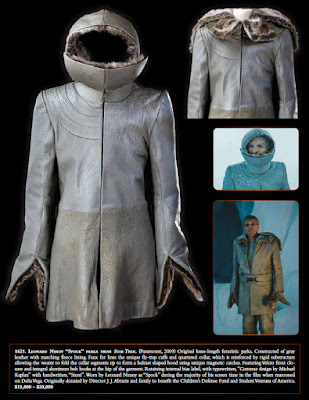 Other highlights from the more recent Star Trek television series and feature films include a William Shatner "Captain Kirk" EVA Space Suit from Star Trek: TMP; a Leonard Nimoy "Spock" Class A Starfleet Uniform from TMP; a LeVar Burton "Geordi" Hero Visor from Star Trek: TNG; and a Nimoy "Spock" Parka from J.J. Abrams Star Trek 2009.